As a first time user of second life my first impressions of second life the concept of it seems a lot like a visual chat room, it is a chat room were you are able to be more individual. Your are able to walk round the world and take to people by text, voice or in a privet messages, to be more individual rather then just being a user name you are able to change many aspects of your appearance, cloths, size and shape ect. 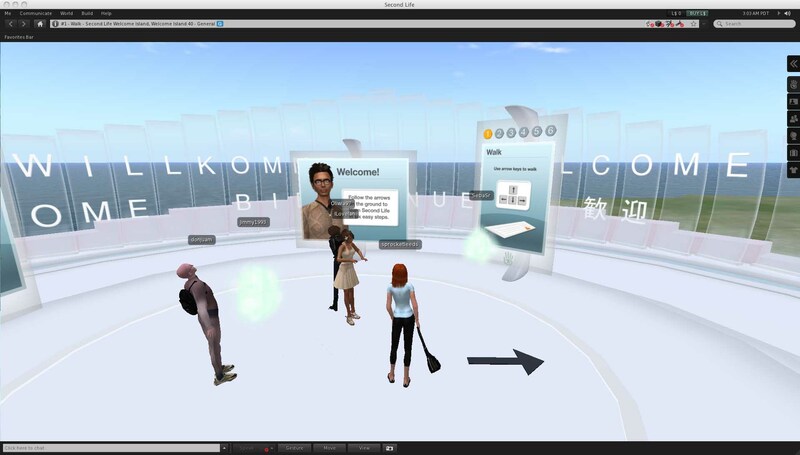 This Creates a greater sense of immersion and because of the customisation and the ability to be more individual you are able to though more emotion into your communication with other second life users. As for people who find it hard or just want to make new friends it makes it easier to go an just talk to people as it cuts out the whole having to meet, awkward silences ect as you know every one in the second life world in there to make friends. When you start second life you all start off in this introduction island that you walk through, and it tells you the basic controls of second life. Graphically second life is not the most impressive thing out there at the minuet, if you compare it to the graphics on other game engines such as EAs Frost bite, but in its field there is nothing close. Most interactive inline services other then this is chat rooms or msn, second life uses the most basic graphic that you would possibly see on a playstation console. The reason for the basic graphic is there is no use for high spec graphics, this is a online application that anyone can access so it needs to be accessible to everyone that included people who cannot afford high end computers; and as everyone can access this application then the modelling feature has to be very basic and easy to use or it would be pointless. 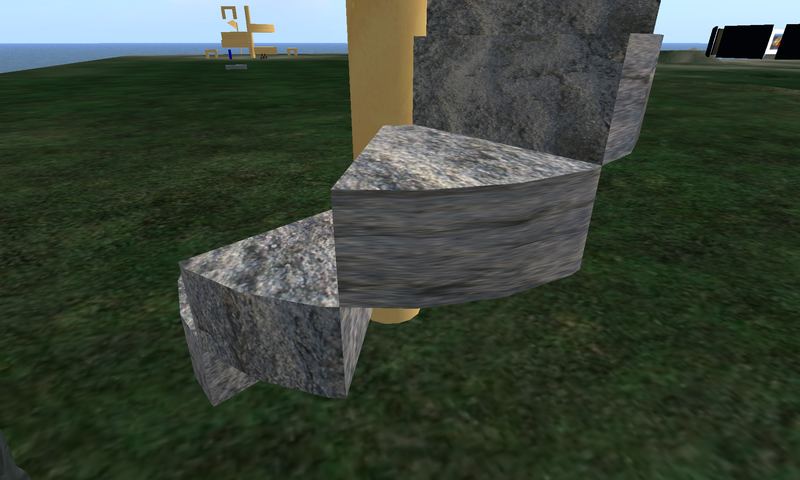 Building in Second life is very similar to many other 3 dimensional modelling programs, you are able to us basic primitives and manipulate them to create different objects. 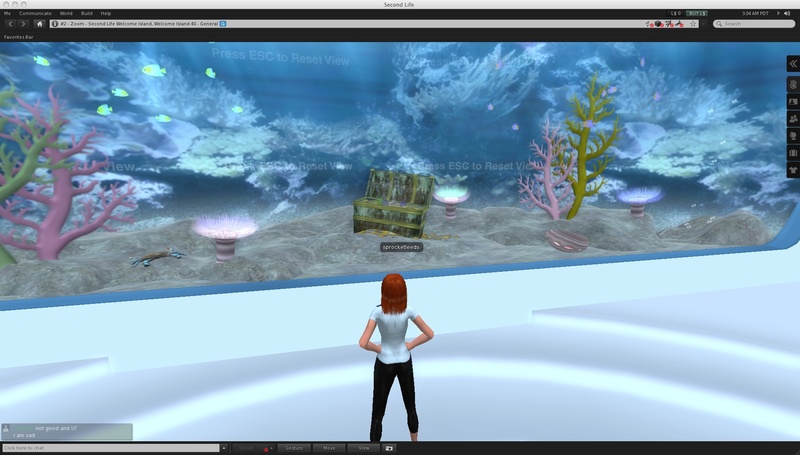 Building in second life is more a additional extra and does not fully utilise this unique and intuitive feature. You are very restricted in many ways whilst modelling the first being you are only able to use one camera view port, so this can be very fiddly when navigating round and trying to be precises as everything has to be done by eye. You are not able to be so precise with your modelling as being able to use vectors, there is an ability to to tweak the primitives so you have to be creative with what you make. 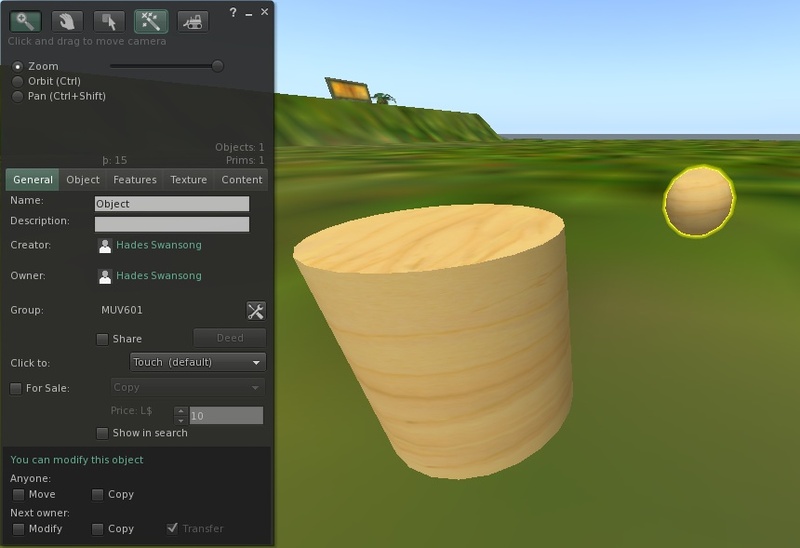 One big part of getting a model to look ok to looking amazing is the texturing you place on it, Second Life allows you to create your own textures in photoshop and then import them into a object. As you are able to see the middle step texture is a little stretched so it had to be resized so it then will look like the step bellow, a very simple correction that can make all the difference. It does cost to upload your data to the site but once it has been created you are the owner of that intellectual property, you are then able to sell the item or let people use the item at your de closure.